The carpet on the floor of your Jetta can wear out if you do not protect it. Shoes and boots can leave holes in the carpet that can go down to the padding, and that will hurt the resale value of your vehicle. If you have to replace the carpeting, it can get expensive. 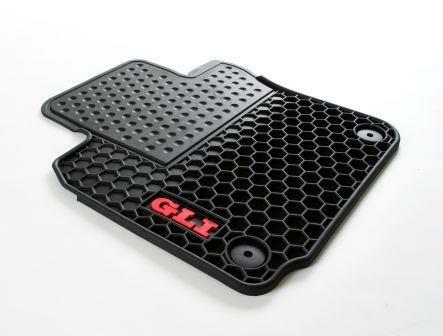 A new set of genuine OEM Jetta floor mats will help eliminate this problem and enhance the appearance of the inside of your vehicle. These floor mats are OEM floor mats made specifically for your Jetta. This means that you get factory quality mats that are built to take on all the dirt, mud, and snow you put on them. They are made to last. Buying your VW parts from us means that you get a parts staff with decades of VW experience who are ready to answer any questions you may have about these floor mats or any other part for your Jetta. We also can save you money because we have wholesale pricing on our parts. Protect the interior of your Jetta by ordering a set of new floor mats today.